Plenty of important questions vie for attention in contemporary Lucan scholarship. In this NIBC volume, Craig Evans not only demonstrates a firm grasp of them, but makes them perfectly comprehensible to laypeople. His clear writing and logical explanations lay open both difficult Lucan passages and scholarly arguments about them. 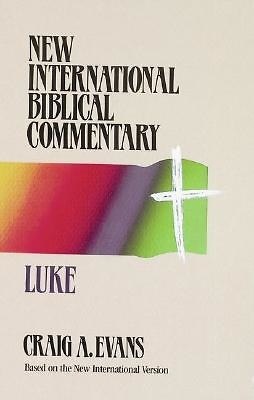 This commentary is probably the best popular-level one on Lukes gospel! The New International Biblical Commentary is an important new series which happily strikes the balance between the detailed technical commentary . And the popular level commentary . Craig Evans' volume on Luke is a model of the series. The writer is as aware of the main questions which dominate Lucan scholarship today as he is of its methods and useful findings.